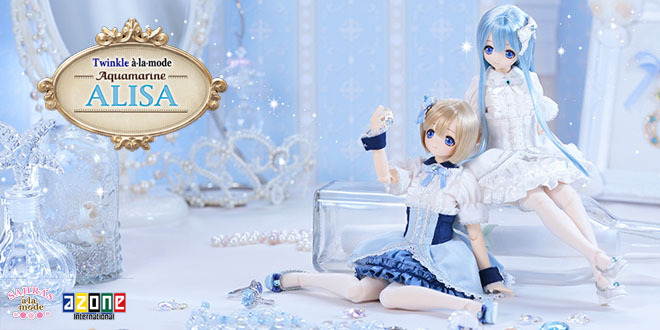 Azone International wants you to bring home the dazzling Twinkle a la mode Aquamarine Alisa this July. Alisa marks the 4th gemstone to be release from the Twinkle a la mode series (Maya , Yuzuha & Sahra). Can you believe it? We have only 1 girl left, Lycee. Orders for the Azone Direct Store Alisa will also take place July 21, 2016 at Azone's Online Shop. The theme for Sahra's a la Mode's new series is "Twinkle a la mode", which uses the twinkling of gems and stars as a motif. Under the shining moon and the twinkling stars, the sparkles from the night sky are taken in, and awaken the gems. The 4th part is Alisa Motif stone is "Aquamarine". This "pure stone" is like the calm sea. Oh, pretty! It's been a while since we've seen a blue haired Sahra a la mode girl? Azone will offer 2 versions of Alisa for your doll family: one a regular release version and the other an Azone Direct Store exclusive version that celebrates Azone's Akihabara Label Shop's 2 year Anniversary. And I gotta say, that Azone Direct Store version is speaking to me. I wish I had the strength like commenter Robyn to stick to my guns and say no to dollies like Alisa. 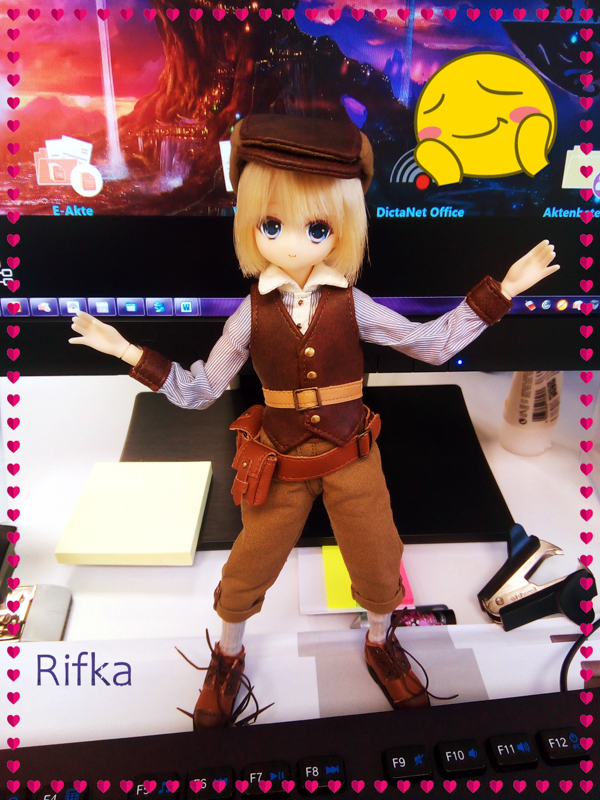 My wallet can't take any more hits but cute dolls are my weakness. I'm afraid I'm going to cave. I do have until June 21, 2016 to talk myself out of getting Alisa but I also have until June 21, 2016 to convince myself to get her. 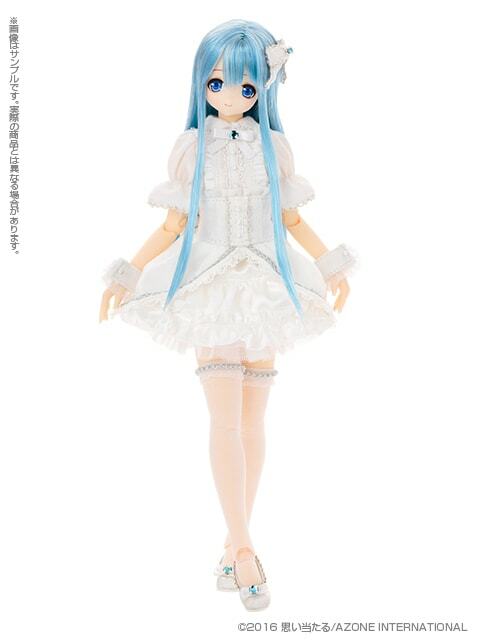 I got this sickening feeling that even though she's an Azone Direct Store exclusive I'll probably find some "expensive" way to bring her home. Wallet continues to say "please don't. I can't take the pain anymore." 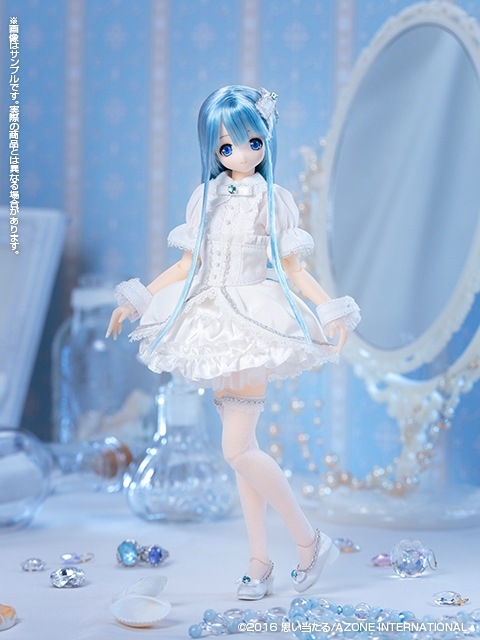 How did Azone International do with their Twinkle a la mode Aquamarine Alisa? Which version are you planning on getting, if any? What gemstone do you think Lycee will be? 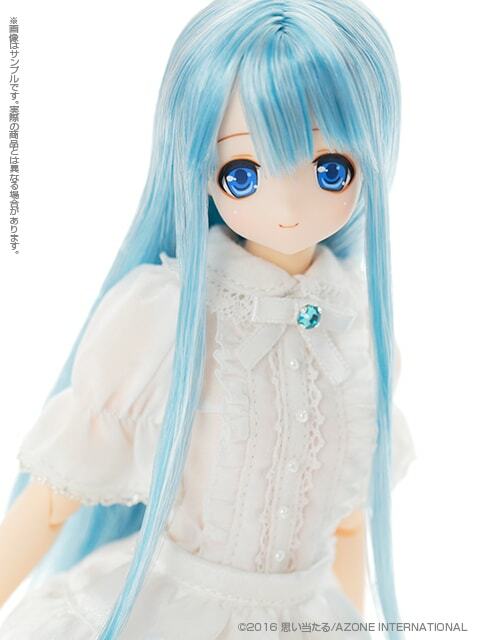 Just took my first step on the slippery slope of doll ownership with Aquamarine Alisa yesterday. The hair seems much thicker than the pictures and is a bit difficult to style it to match. Is it really necessary to get that hair oil spray that Azone makes, or is there some other alternatives? I wish Lycee wasn’t up for preorder so soon. Congratulations on your Azone doll. Oh, she is so pretty! Indeed it is quite the slippery slope. It’s amazing how 1 doll can turn into 12. I agree with you about Lycee. I too wish there was a little break between Alisa’s announcement/release and Lycee’s announcement. Oh well, that’s how the hobby is sometimes. I’ve have some hair issues with my Lil Fairies as well. I haven’t tried Azone’s spray or wax but I’ve seen that they absolutely work with Azone’s doll hair and the oil/wax really allows you to recreate the original hair styles. Other doll fans use a spray bottle with clean or distilled water, or a spray bottle with water and few drops of fabric softener mixture. Some collectors even used people products like bed head on their dolls hair (they do however warn that heat will damage the doll’s hair). P.S.We’re working on a dolly gallery. Would you mind if we included your Alisa? We’ll include your name and doll’s name with the image. The lighting wasn’t very good in that pic but sure. I’ll take better pics once I get a speed light and backdrop. I’ve always wanted one of these dolls, but have been waiting for the right one. And seeing regular Alisa I bought her today. I just fell in love with her. I don’t really know much about these dolls, do you know how tall she should be? And I would just like to say congrats on your 1st Azone purchase!!! I hope Alisa is everything you hope for and more. Ah thank you so much and the picture is so cute, I appreciate it! Congrats on your first Sahra’s a la Mode by Azone International. Sahra’s a la Mode girls are little over 9 inches in height with shoes off. 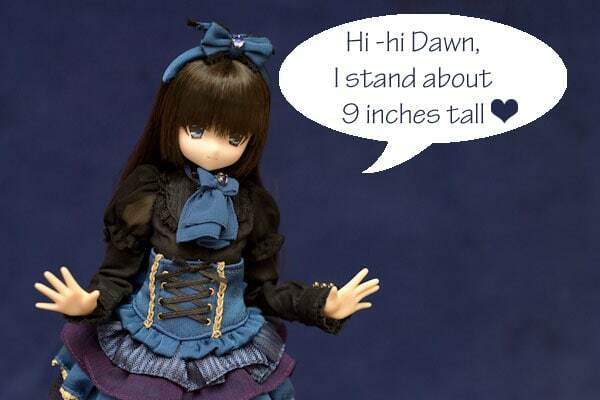 Our Dolly Insider Scout Yuzuha, is little over 9.5 inches tall when she’s wearing her original shoes. P.S. Please feel free to come back and let us know what you think about your Alisa. And if Alisa wants to say hi to the community please feel free send us your images. We’ll add her to our newest section called “Dolly Says Hi!” Collectors Newest Arrival Gallery (coming soon). We look forward to meeting your Alisa. 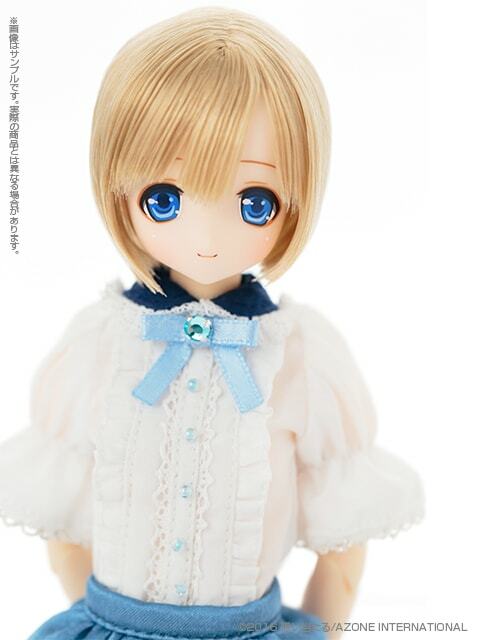 Waaa i just ordered the regular version, i was not planning to buy her but seen her out of stock in some stores made me reconsider it, did you pre ordered this cutie? Congratulations on adding Alisa to your collection. Unfortunately, I am unable to order the beautiful Alisa this month. 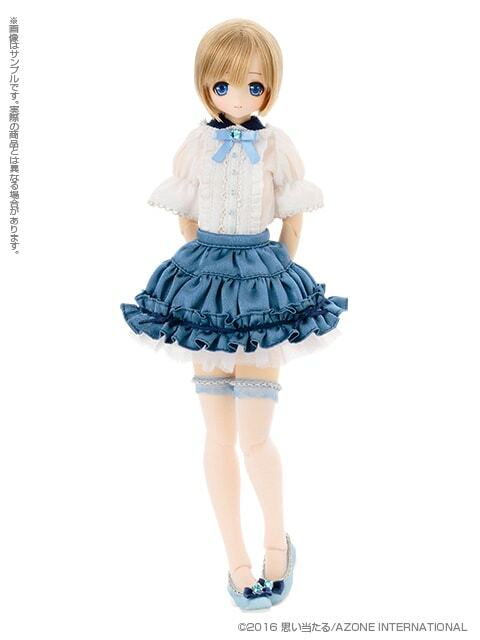 Orders for the Azone Direct store version begin in July. 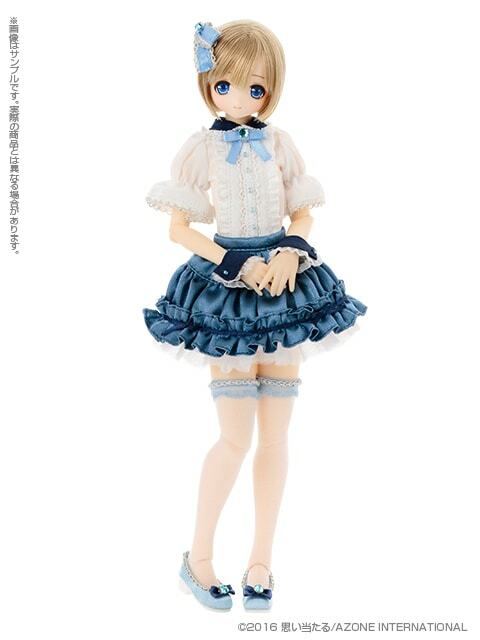 So I’m trying to figure out how I can get her for my collection, as well as find the money to order her. At this current moment, Alisa may not be a part of my doll family 🙁 but I haven’t given up hope yet. Thanks for stopping by and sharing the upcoming addition to your collection. Indeed Maria, she is a-dor-a-ble! I am right there with you. I’m trying to figure out a way to add her to my collection. 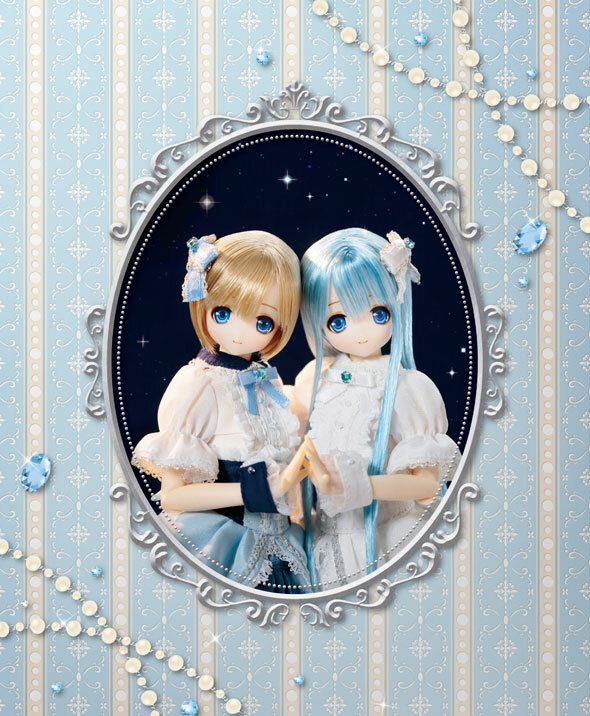 Azone will display Alisa at Doll Show 46 Summer and we will also get to see Lycee’s stone. Thanks for stopping by and chatting with me about Twinkle a la mode Aquamarine Alisa. Having the girls reflect their birthstone would be an awesome idea. Your comment got me to remember that Ringo over at Azone had posted the Sahra a la mode girls’ profile (apparently the profile was in the Azone International book). Unfortunately, it doesn’t look like the girls are representing their birthstones but who knows. If the Twinkle a la mode series is a huge success for them they may dress the girls in their birthstone someday. I’ll try this summer to get a proper translation of the Sahra a la mode girls’ profile. 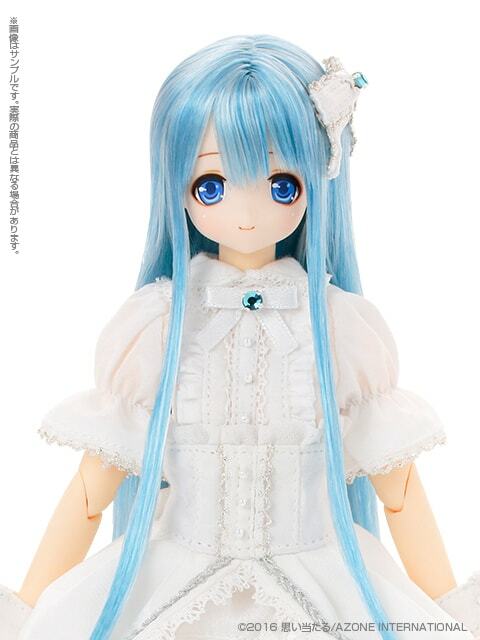 She’s definitely got one of the faces that most appeals to me out of any of their girl dolls. And the DS version is just gorgeous. Do you have a wire in my house? because I literally said the exact same thing. 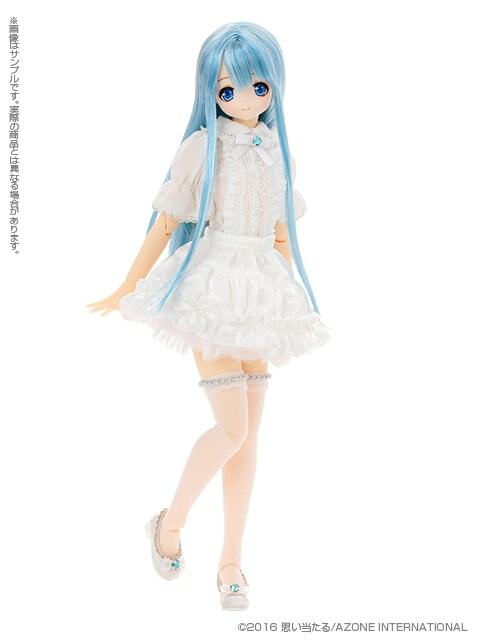 Just when I thought things were settling down after the Minami frenzy, Azone goes and reveals Twinkle a la mode Aquamarine Alisa. Congrats on graduating from university. Haha, it truly is hard to be good to my wallet, trust me! If I didn’t have a friend’s wedding and father’s day to think about, I would probably be much more tempted! This is my favorite Twinkle a la Mode yet! All of them have a slight magical girl quality to them, but this one especially has that feel to it! I’m loving the blue hair on the exclusive version a lot. Anyone who is able to get her is very lucky! I’m guessing the last gemstone will by amethyst. Or maybe they’ll surprise us with a warm color like citrine or topaz. I think there’s an interesting topic in that statement. Oh, I think amethyst would be a fun color to see all dolled up. I wonder if there’s ever been a Sahra a la mode girl with purple/lavender hair. Though I would love to see Lycee as amethyst, I’m secretly wishing she’s not. You know how tempting she would be? Must fight temptation . . . But can’t wait to see what Azone has in store for Lycee. Thanks for stopping by and sharing your thoughts about Twinkle a la mode Aquamarine Alisa. I’m very mixed about the regular version of Alisa. I really love her outfit with those different shades of blue! 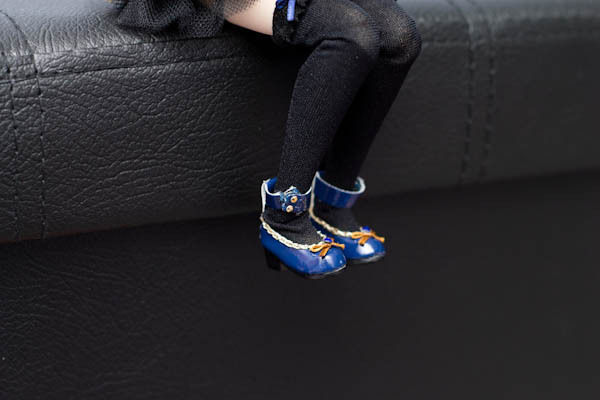 With Lapis-lazuli Yuzuha she is the second doll to match with her gemstone pattern but in my opinion the regular Alisa could have been perfect if she had the blue hair like the direct store version. Azone is really doing a number on a lot of collectors’ wallets. I don’t know how they expect fans to keep up with their pace. 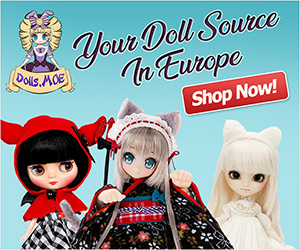 I know you also collect Pullip dolls, did you hear about the 2 Pullip shops who are revealing exclusive dolls? We’ll be right there with you though, hoping & wishing the wallet can sustain another dolly release. Yeah I’ve heard about it. I know that Pullip Style will be one of those lucky shops because they have already post some sneek pics of their exclusive pullip on Facebook but… well I was a bit disappointed because it looks like that the pullip will be something between Kikipop Sunny Bunny Date and Lil’Fairy Steampunk Neilly and unfortunately I’m not a big fan of bunny-ear hat and steampunk fashion -_-‘ Well I also said something like that for My Melody Hen-Nako but in the end I haven’t customized her ^^’ I think I will wait to see her price in order to know if I buy her or not. 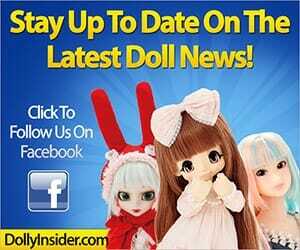 I too am curious about the price for the exclusive dolls. I think, since Groove hasn’t release a lot of original dolls and continue to neglect non-Sailor Moon fans, collectors maybe more inclined to bring home the exclusive dolls (that’s assuming the price points are reasonable). The other exclusive doll I have seen is from Jolie Doll. 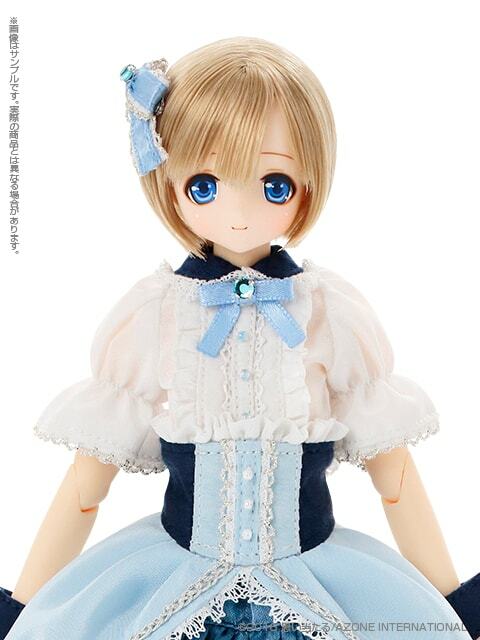 Though this is a Google translation from French to English, it looks like she will have a doll uniquely made for her shop as well. There’s only been a few sneak peek images. 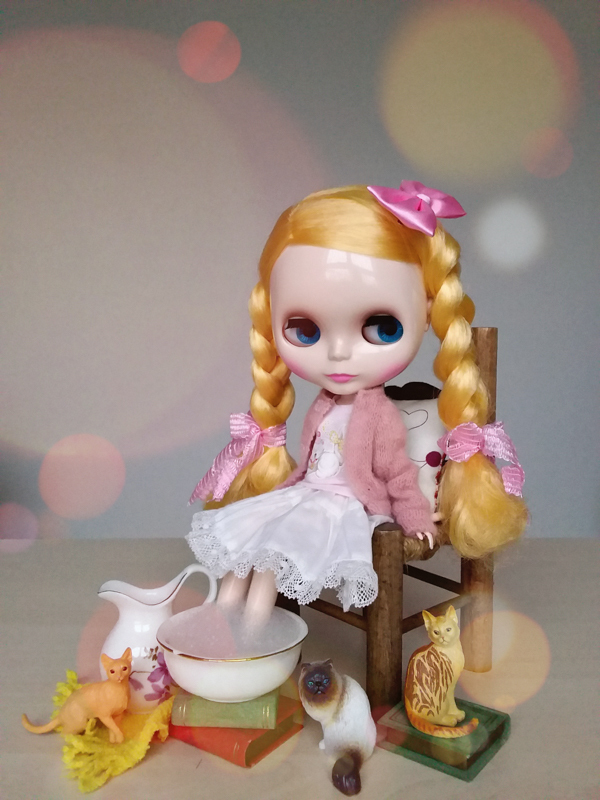 Since I’m French I can help you to understand better what their project is >.< They are actually going to use the pullip My Select Merl as a model and dress her with an outfit made by the director of the shop herself. So once again I'm a bit disappointed -_-' With the sneek pics I saw I was excited because it seems that her outfit will be something that I'm gonna like (excepting the rabbit ear headdress but well if the dress is astonished I will pass by this detail) but if they gonna use an already existing pullip… I don't know but it's not what I imagined when I saw the word "exclusive". 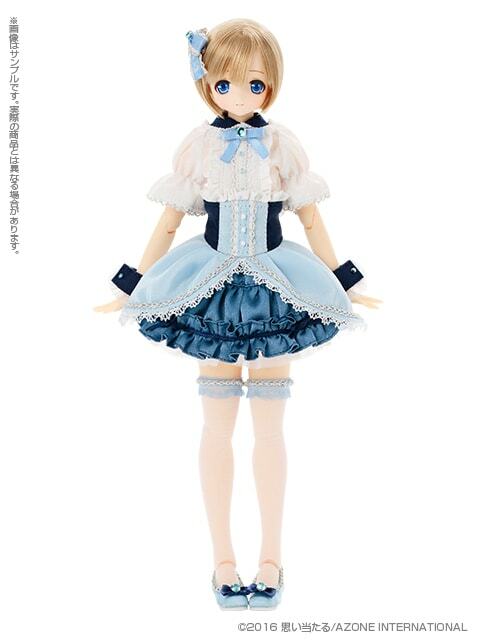 I rather prefer buy the outfit alone… So I will wait until July to see this new Merl and know what I'm going to do. Thanks so much for translating the post. It really help fill in some of the blanks we were having about Merl and the outfit. Merl My Select got a new hair style, more curls. It turns out she isn’t a bunny after all. She’s a dark, Gothic girl. Very edgy. I was hoping the outfit would be cheerful like the outfits seen in her Etsy shop (sept. 2016 updated: etsy shop closed). I like her cute socks.